A UCLA-led study suggests that the administration of an immunotherapeutic drug for people with recurrent glioblastoma is more effective than the later use of the drug. In recent years, immunotherapy drugs, which use the body's immune system to destroy cancer cells, have been shown to be helpful in treating people with advanced or metastatic cancer. But the drugs still have to show some benefit in helping people with glioblastoma, an aggressive and deadly form of brain cancer. On average, most people with recurrent glioblastoma only live six to nine months. The study, published in Naturopathy, was led by Robert Prins, a professor of molecular and medical pharmacology at the David Geffen School of Medicine at UCLA and Dr. Timothy Cloughesy, a professor of neuro-oncology at the Geffen School of Medicine. Both are scientists at the UCLA Jonsson Comprehensive Cancer Center. 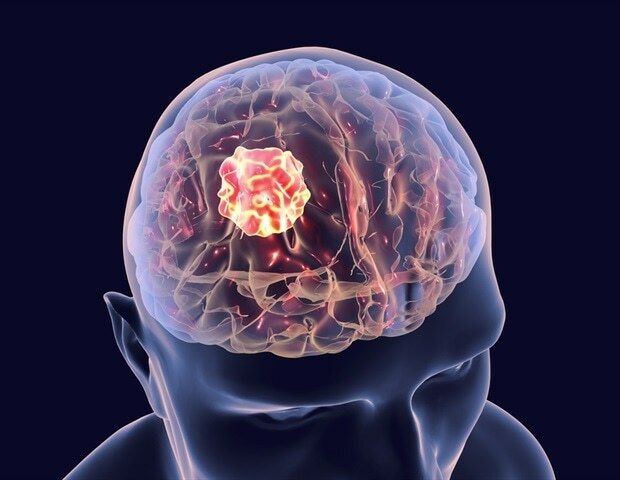 It shows for the first time that pembrolizumab, a medicine against immune control marketed under the brand name Keytruda, can be effective in the treatment of people with recurrent glioblastoma. Pembrolizumab is an antibody that works by blocking a control point protein called PD-1, preventing T cells from attacking cancer cells. Cancer cells often use PD-1 to keep T cells at bay. But by inhibiting the involvement of the protein with a checkpoint-inhibiting drug such as pembrolizumab, the immune system can better attack the cancer. "The results are very encouraging", says Prins, the senior author of the research. "This is the first indication that immunotherapy can have a clinical benefit for patients with malignant brain tumors – and helps prevent future recurrences." The trial, which took place in seven medical centers in the United States, assessed 35 people with recurrent and surgically resectable glioblastoma – meaning that the tumors could be removed by surgery. 16 of them received pembrolizumab before their operations and 19 received the medicine afterwards. Those who received the drug before surgery survived an average of 417 days, those who received the drug after the surgery lived for an average of 228 days. "By administering the immunotherapy before the operation, we activated the T cells in the tumor that were previously functionally limited, which essentially contributed to the expansion of people's lives," Cloughesy said. In a person with cancer, if antigen-specific T cells are present and are affected by the tumor and the surrounding microenvironment, they can be awakened by the drug before surgery. In contrast, the drug does not stimulate the T-cells of the patient after surgery because these T-cells are removed with the tumor. The findings may be significant because little major progress has been made in the treatment of glioblastoma in the past two decades and because it could be a step towards the development of new biomarkers for the disease. "These data may lead us to a better understanding of the mechanisms by which some patients generate a significant immune response to this therapy, while others do not," said Prince, who is also a researcher at the Parker Institute for Cancer Immunotherapy Center at UCLA. . "It can also help us determine which combination of drugs can be most successful for each individual patient." The team is now testing the immunotherapy in combination with vaccines and other control point inhibitors. "This is not a very large study, and our data must be replicated, but we have a foot in the door," Cloughesy said. "We have found a way to use these control point inhibitors in glioblastoma that we previously thought were ineffective. We now have a rational and logical way to develop future immunotherapies and a clinical development process to do this."